I must start by saying that I’m a relative new-bee in watching Hindi theatre, but I should also add that I have seen some biggies like Anupam Kher, Yashpal Sharma, Atul Kulkarni, Naseeruddin Shah, Salim Arif and Neena Gupta play their magic on the stage. And then, my father was an actor himself, imbibing some sense of theatre in myself, atleast as an audience. 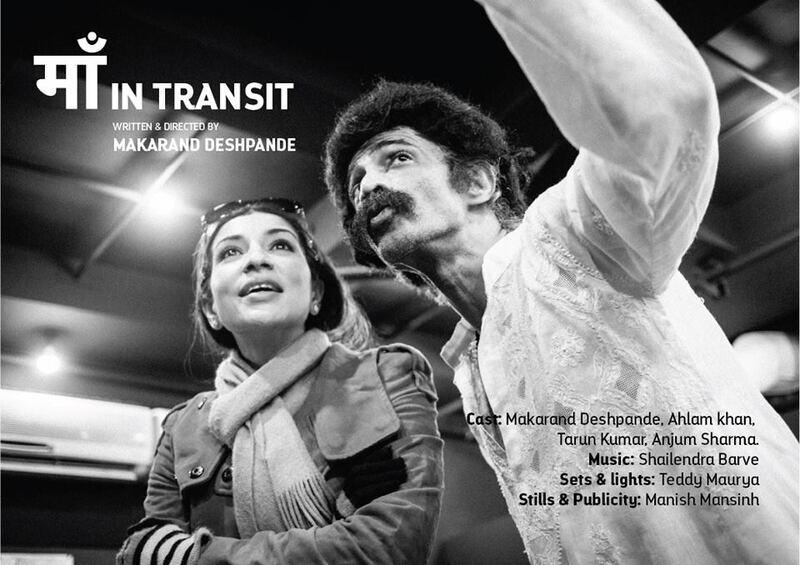 This play – Maa in Transit – never made an impression on me. Not even once during the entire 90 minutes performance did I feel that it’s the same play that I expected to be serious enough to rattle me from the core; or to be passionate enough to make me rethink about my relationships; or probably to be an acting masterpiece that I could’ve appreciated till the next one. The story is staged in a cemetery where a son (Makarand) is performing the last rites of his mother (Ahlam Khan), and he wants to spend more time with his mother since he never got a chance to say a final goodbye to her. And that’s where the tale alternates between the real world and his imaginary world where he meets his mother at various stages of her “TRANSIT”. Now this is where Makarand lost the plot. Not only was his acting a tiny bit irritating, he, as a write, was not able to decide whether he wants this to be a serious play or a comedy or a parody of customs. The play just toyed with all these ideas, but never stuck to one and made sense of it. In my opinion, I would have given this event a complete miss.